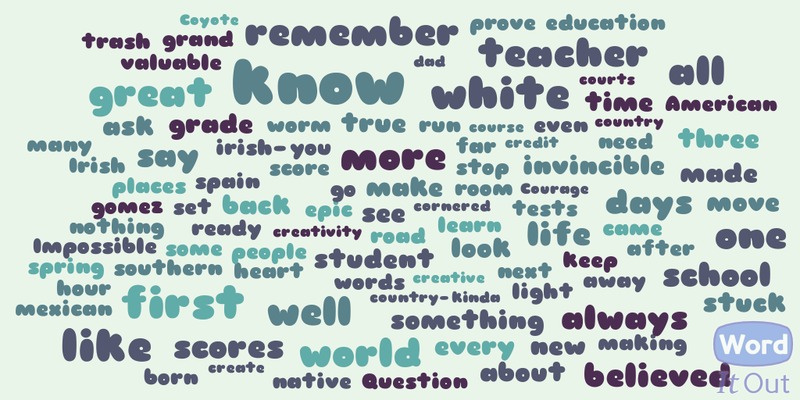 Guess what word doesn’t appear on the word cloud…TEST! I have been liberated. All it took was poetry! Oh wait there it is…And white is a little too big. Oh and first world is also prominent. Man, I gotta get my act together next week. Look Ma! Test has gotten smaller!